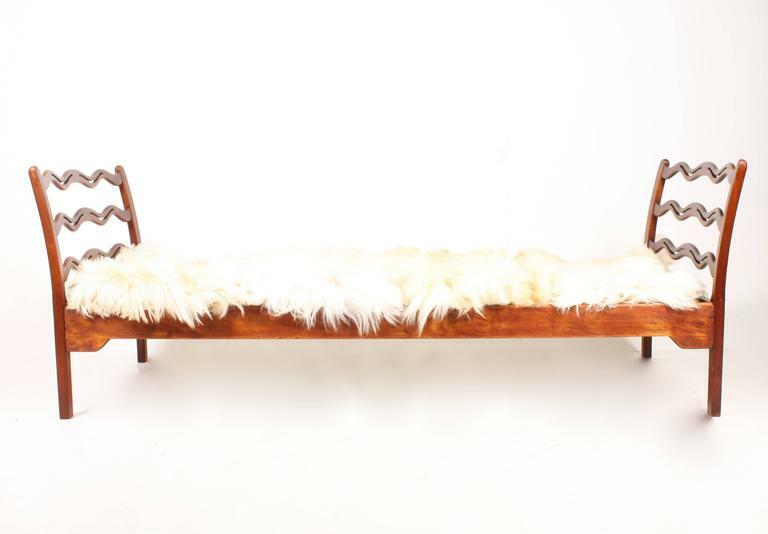 Great looking daybed in solid wood designed by Maa. Ole Wanscher in the 1950s. 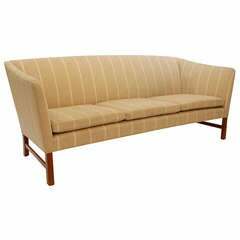 Made in Denmark for Fritz Hansen cabinetmakers. Great original condition. 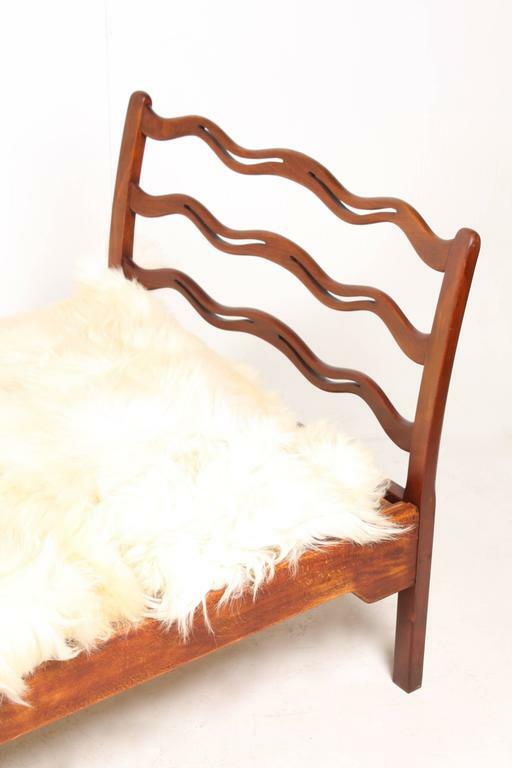 Classic lounge chair in patinated leather designed by Ole Wanschar M.A.A. for A.J. Iversen Cabinetmakers in 1946. Made in Denmark. Great original condition. Elegant freestanding Danish design desk in mahogany with three drawers designed by Ole Wanscher for A.J. Iversen in the late 1950s. 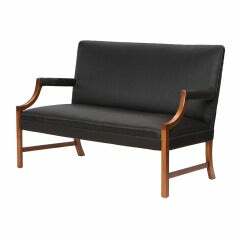 Made in Denmark, great original condition. 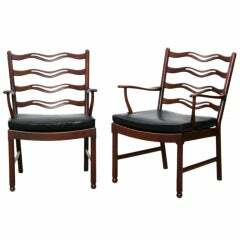 Set of four side chairs in mahogany with seats in black patinated leather. 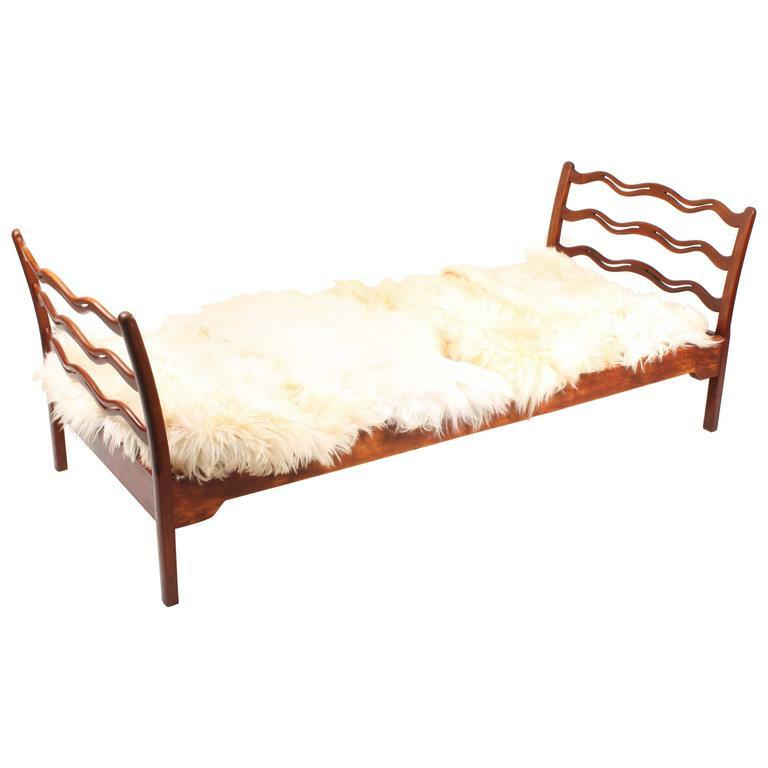 Designed by Ole Wanscher for A.J. Iversen cabinetmakers Denmark in the 1950s. Great original condition. Nest of tables designed by Maa. Ole Wanscher. Made by A.J Iversen, Denmark. Great original condition. 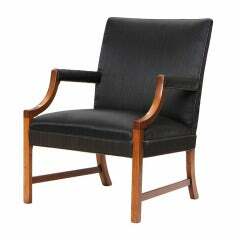 A stately and elegant modern Chippendale-influenced armchair finely crafted in mahogany with original horsehair upholstery with leather welting. 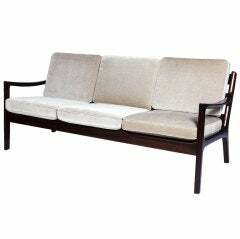 A stately and elegant modern Chippendale-influenced settee finely crafted in mahogany with original horsehair upholstery and leather welting. 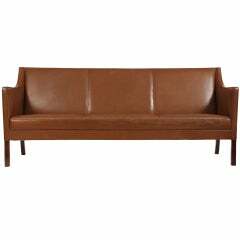 A sofa with a raised, tight back and sloping arms, retaining the original tan leather upholstery, on rosewood legs. 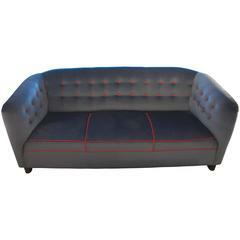 Three-seat sofa with plinth of dark stained beech upholstered with blue velvet fabric and red velvet piping and tufting buttons. 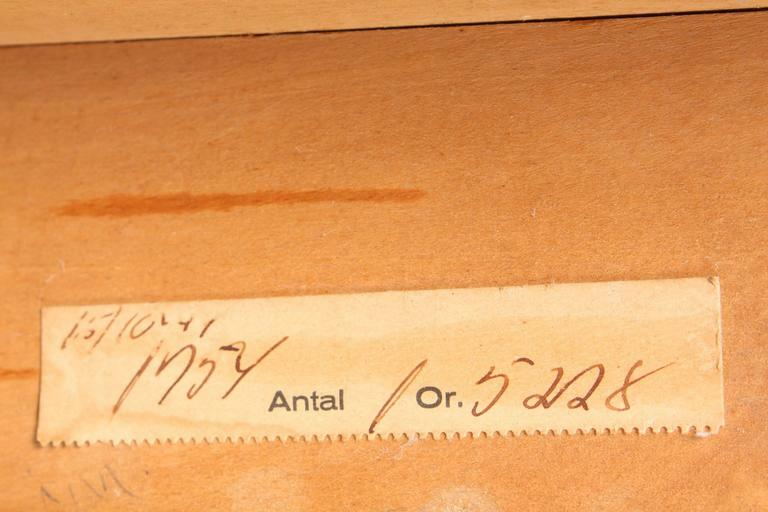 Manufactured by Fritz Hansen.